Lady Gaga eyeing Justin Bieber’s manager to save her career? 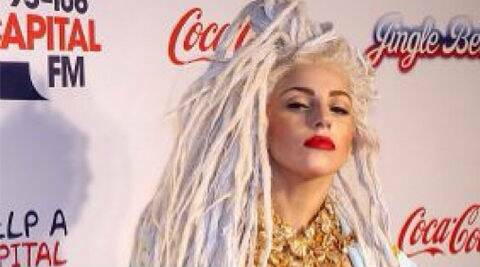 Lady Gaga was disappointed with the poor performance of her last album 'ArtPop'. Lady Gaga was disappointed with the poor performance of her last album ‘ArtPop’. Singer Lady Gaga reportedly wants pop star Justin Bieber’s manager Scooter Braun to help save her career. Gaga, 28, was disappointed with the poor performance of her last album ‘ArtPop’ as it failed to find many listeners. It got her to contemplate about getting help from Scooter Braun, who helped Bieber in becoming a global superstar, reported Huffington Post. “If anyone can help Gaga now it’s Scooter. He’s one of the smartest blokes in the music industry and made Bieber into the biggest pop star on the planet. There are a few options for her but Scooter is one of them,” a source said. “Gaga’s next album will be make or break. At the moment she’s still to decide who will manage her,” the source added. added. Lady Gaga eyeing Justin Bieber's manager to save her career?